My people should be going where I send them and healing others and helping them with whatever they need. Some are just destitute. They do not have homes and my people do. I want them to bring them home and feed them and heal them and give them the message of the Gospel of the Kingdom of God. Christians should not be sick; My people should not be sick. They have the weapons – My Word, My Blood, My Name and My Holy Spirit of Power, to stop the enemy from attacking them. But they are not taught the weapons to use and how to use them in their church. Then some know and use the weapons in an uneffective manner; not on them but on others. Unforgiveness is one thing a person must not have in their hearts. I cannot protect those, even if they are My People. Because of that sin they are turned over to the tormentors as My Word has said. Fear is a spirit. I have commanded My People in My Word to cast down all fear. My Word says, God has not given you a Spirit of fear, but of POWER, LOVE, and a SOUND MIND. It seems to be a never ending solution when fear attacks sometimes all day long. But it will eventually stop because using the blood of Jesus, that spirit will cease because of the intensity of it, which grows as it is used against your enemy. The Blood is a cleanser, a fire, pure life, and everything it touches will give life or destroy death. So while you think sometimes that it is futile after awhile, because you are looking for an outward sign, the blood is not working. That thought comes from the spirit of satan and if you accept it, he has control over you. But the moment you cast it down, see him flee from you, because he will catch the brunt of the attack which was meant for you when you hit him with light and life. He is darkness and cannot stand the light.Do you understand. In Him was life and the life was the light of man. I am light in you and when you speak my Word, life is in you, your faith in that life, lightens your spirit and ignites the fire of God to erase darkness. Absolutely obliterates darkness wherever you are sending it. I find when My children obey Me, that they grow much faster in their soul realm, because they are obeying the Light in them and it spreads to all other parts of the soul and flesh and the spirit in them becomes stronger. Which is what I want for My Children. The Word is Life. Pure, unadulterated, without darkness, pure Light. If you could see how I created fire, then you would have no problem getting that fire going. Here is how it works. I speak My Word. That is it. I have put everything in Me in My Word. My Word is now sitting beside Me. He is the living Word. You have the written Word to read and understand and speak. He backs up what you speak with the power of My Holy Spirit. He is the ONE on earth with the power. He does what the Father tells Him to do. So where is your faith. 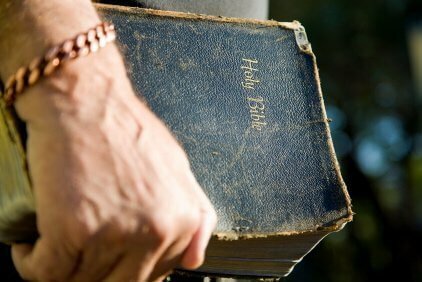 Is it in the Word and the Power of My Holy Spirit? See me when you speak anything. My power can destroy, but I will not allow My power to be used of the devil to destroy. I do not bring hurricanes or destruction to the earth. I bring the gentle rains, the gentle winds to remove the filth in the air. Read My Word. Ask Me questions about My Word. Ask My Holy Spirit what you want to know. Listen quietly and you will learn the wisdom of all knowledge and it will provide Life to you where it is needed. You must follow the Holy Spirit. See you hear Me. You wait for My voice. My voice must follow My will for the earth, which is peace and love and righteousness. Did Jesus Christ come in the flesh? Yes He did. And all things must bow to His Name. I AM coming soon. Listen for the trumpet My daughter. I AM coming very soon. Do not fear anything. When it comes cast it down and speak the Word against and make it obey the Word of God and it will flee. You must do that now while there is time to remain in the power of the Holy Spirit. Guard your heart. Especially against things on television. If it does not give Life do not watch it. Reinforce your vision, not only of Me but of My Word. Read My Word daily. Talk and minister to the Holy Spirit all the time. He is inside of you guiding and directing you to obey the Father in Heaven, just as Jesus did when He was on the Earth. Now listen as to the directions I have for you today. Study the Blood once again. Begin to use it over and against all unrighteousness. When you see something wrong, establish your words with God’s Word and, remove what is evil and establish Life where it is missing. Do that for others for you are My righteousness and the kingdom of God lives in you. Speak and believe what comes out of your heart will create what it is hitting. Satan has been defeated already. He is coming to you to see if you believe that. He will try to steal, kill and destroy that kingdom in you. Do not let him do that. Guard your heart. Do not let petty words and emotions guide you. Watch your mouth that you do not sin against the Word. Be sensitive to the Holy Spirit at every turn. Let My Light shine in a cruel and destructive world. Satan is the god of destruction and death. He is not the God of this world. And the more position and authority you take back from him, the quicker I will come. Be Me. Be what My Son did on the earth. He always knew what He would do because He was in touch with Me all the time. Now go and do likewise.